This month, Sri Lanka celebrates 20 years in the Internet and this would be commemorated with the INET Colombo 2015 Conference – Building Internet expertise and regional capacity which would be held on 9th June 2015 at the The Kingsbury Hotel, Colombo. INET Colombo is envisioned to the biggest ICT event of 2015 in Sri Lanka. Although only a limited number of participants can be accommodated at the main site, remote hubs will be operating in multiple locations in Sri Lanka including Jaffna and Kandy with a total audience of over 1000. Prof. Kilnam Chon – “Father of Internet in Korea” – A pioneer of the Internet in Asia. Prof. Kanchana Kanchanasut – Brought the Internet to Thailand. Prof. Mohan Munasinghe – An IT pioneer in Sri Lanka. Raúl Echeberría – An internet pioneer in the Latin American and Caribbean region. Prof. Abhaya Induruwa – A pioneer in academic and research based initiatives in the deployment of Internet in Sri Lanka. Prof. Saman Amarasinghe – A professor in the Department of Electrical Engineering and Computer Science at Massachusetts Institute of Technology (MIT). Today, we in Sri Lanka, celebrate our 66th Independence Day and it would be celebrated with great dignity throughout the country. The National Independence Day celebration will be held in Kegalle under the patronage of President Mahinda Rajapaksa. The celebrations in Kegalle will be held under the theme “Let us in unison build a nation that would win the world”. So the key emphasis here is on unity and the laudable task of nation building. Nice! Sri Lanka may have problems just like any other, but it’s beauty will never fade away. Keep smiling Sri Lanka and wish you all a happy independence day! Guess you have already seen the image on Google.lk and it looks pretty cool. The idea of a specific image (“doodle”) on Google.lk to commemorate Sri Lanka’s Independence Day was initially ignited by Buddhika Nuwan who made the request to the Google team through a forum post here. Good on you Buddhika! Here’s an interesting article on the Independence Day 2013 and don’t forget to read the comments!! 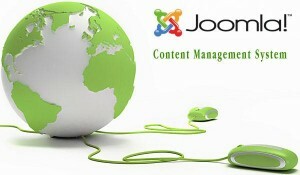 Since January 2011, one was able to manually install Joomla 1.6 but now Fantastico has got it pre-installed on cPanel. That means, in a few clicks, you can have the newest version of Joomla up and running! New Access Control System – Allows site administrators control over who can view and manage content. Unlimited Depth Organizational Model – Gives site administrators and content creators user-defined category levels that allow for the creation of a category tree with as many or as few levels for organizing articles and other content as needed. One-Click Extension Updates – Allows users to keep sites secure and controlled by simplifying the process of updating extensions. 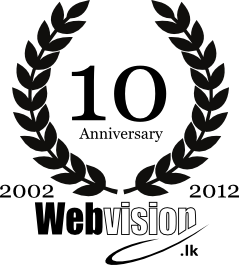 Semantic XHTML Layouts – Provides a better baseline for content presentation. Gone are the days when you need to learn the Wijesekera keyboard to type in Sinhala. 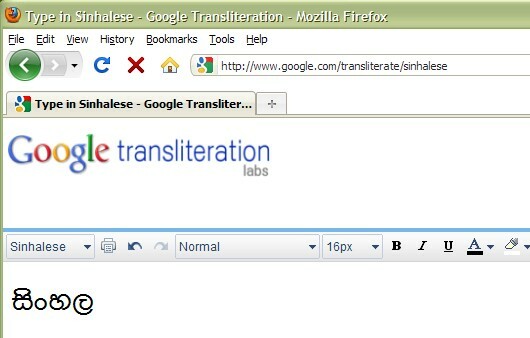 Now, thanks to Google, you can type Sinhala words in English and voila, it changes into unicode Sinhala! Of course, many beat Google in this business of transliteration, but I personally think their version is quite user friendly. What is the best browser to surf the net? As a web developer, I find it very frustrating when some customers tell me that they are still using IE 6! Goodness gracious – IE 6, probably the worst browser on earth! 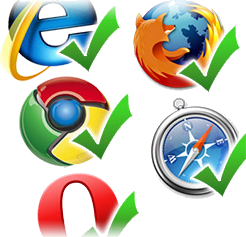 So how do you really select the best browser? This is probably a very personal decision but there are a few aspects that one should seriously consider. For example, the interface or look and feel, features, performance and security. In my opinion, security is the most important criteria since many want to infect your machine with their virus. For me it’s Firefox as the number one browser but you may not agree. Tags: Browsers: Firefox, Chrome, IE, Safari and Opera. Is Caffeine gooooooooood for you? I cannot recall Google for having done this before but earlier this month, Google invited the public (that’s you and me) to take their next generation of web search for a test drive. For some reason, it has been code named Caffeine. Google’s engineer, Matt Cutts has invited us all to test it at http://www2.sandbox.google.com. You can test the old Google against the new for yourselves at http://www.comparecaffeine.com. The new architecture is said to include size, indexing, speed, accuracy and ranking changes and Google is asking searchers to give it a try it and report their feedback. You are currently browsing the archives for the Internet Sri Lanka category.